dbclunie: 3D Printing : New Filament From Polymakr.com And MORE! 3D Printing : New Filament From Polymakr.com And MORE! 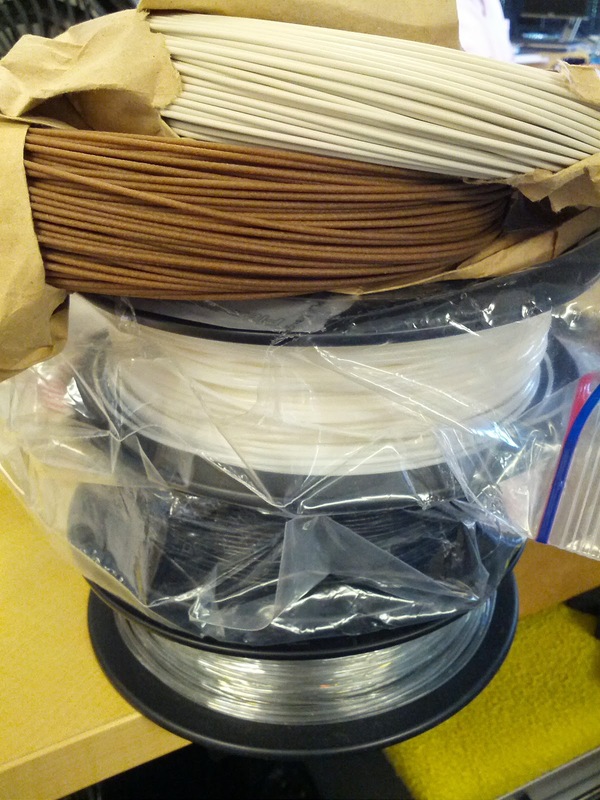 So yesterday I received two packages in the mail, both contained 3d filaments! The first was from a company I hadn't heard of before prior to ordering from them called polymakr.com. They offer the standard normal colors in PLA but also some interesting translucent colors as can be seen on the right. They claim their PolyPlus PLA is a more robust and printer friendly PLA. The polyplus PLA is a bit more in price, .75kg for $35-40 bucks, where as other providers charge the same price for 1kg of filament. I'm not sure if they're including or excluding spool weight but i'm not sure the if other manufacturers are either so it could be the same weight of actual filament. 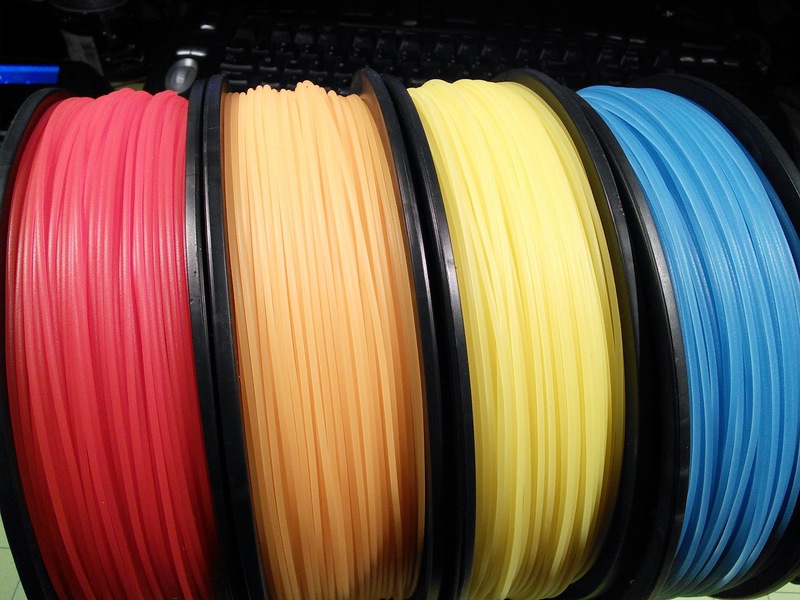 Polymkr also has a kickstarter going on 11 days to go as of this article, for three of their newest filaments! PolyMAX which is PLA but with ABS strength, Poly Flex (which they did give me a sample to try out! ), and Polywood which is a wood "like" filaments, which is to say looks like wood, feels like wood, but isn't actually wood like some of the other companies offerings, e.g., lay-wood. the spool itself! Filament seems ok. This filament had to be "cut away" from the remaining filament. 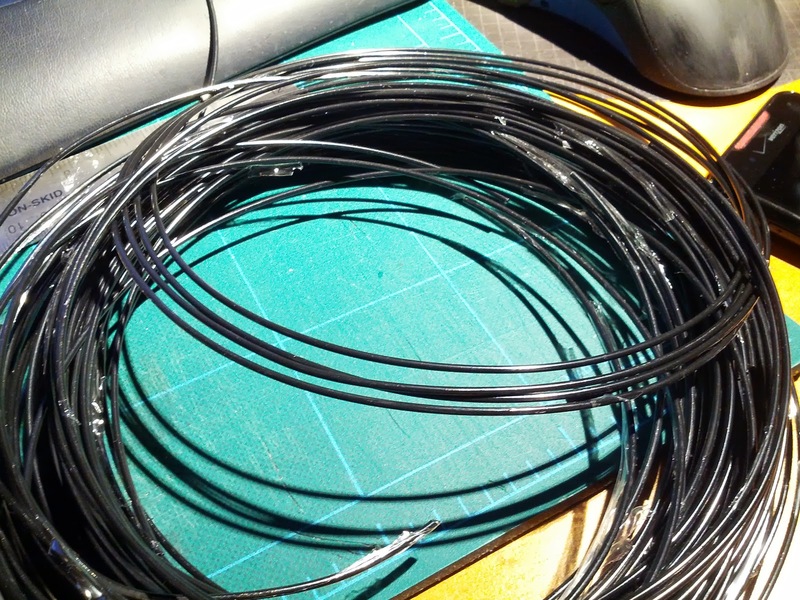 As you can see, the shrink wrap material is fused with the filament! Someone in shipping was a little to eager when running the hot air gun. 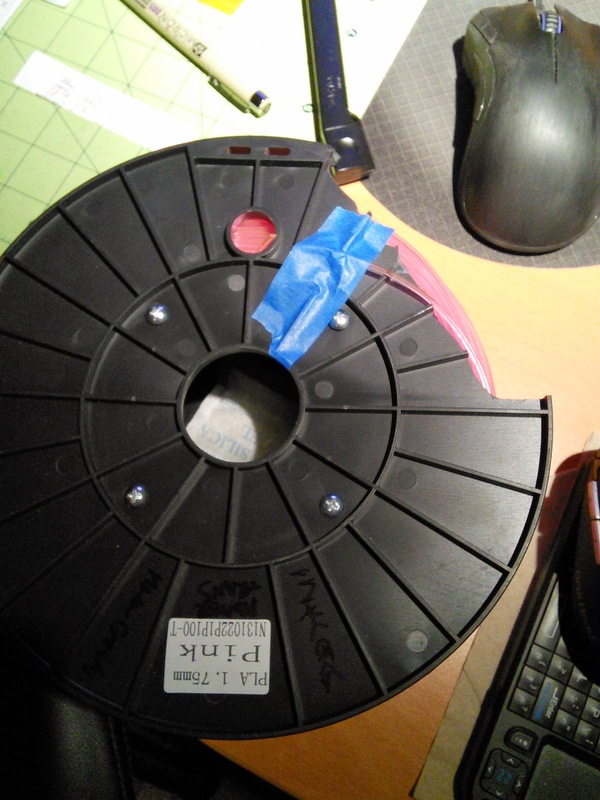 Granted all of companies that I have dealt have indicated they are more than happy to refund or shipout new filament if I ever have any real issues, but when you see polymakr doing it the "right way" straight out of the gate, its hard not to throw them more business! The second shipment I received contained some new (cheaper) wood filament $80 for 1 kg vs $80 for .25kg, and filaflex filament in some new and vibrant colors! I don't have any pics of yet from those but will be printing out some sample chips to add to my collection shortly. I'll likely do a separate blog post to show off all of the new filaments I've printed out, at the very least in sample chip format, from the past couple of months.